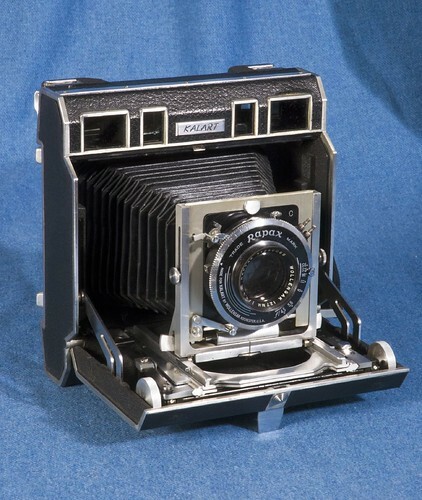 The Kalart Press Camera was made from 1948 o 1953  by the Kalart Company in New York City. It was designed by Edward K. Kaprelian. Unusually it had two viewfinders with superimposed rangefinders so that you could use either eye. The f/4.5 127mm Wollensak lens came in a Rapax X-sync shutter. The spring back took conventional double film holders for 3¼×4¼ inch exposures. With Kalart film holder a special mechanism helped to reduce film holder handling procedure faults. Another feature was its electric double exposure prevention circuit. 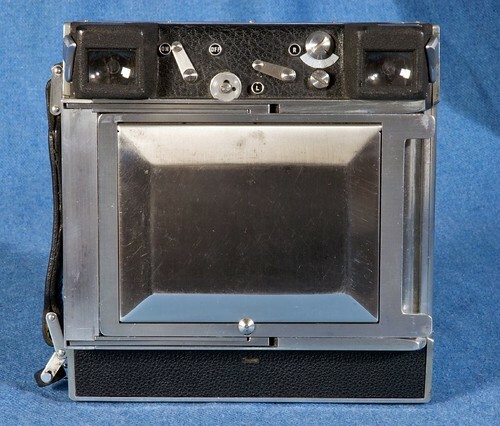 The folding bed camera had a double extension bellows, a front standart allowing lens shifts, and a tiltable folding bed. ↑ McKeown, James M. and Joan C. McKeown's Price Guide to Antique and Classic Cameras, 12th Edition, 2005-2006. USA, Centennial Photo Service, 2004. ISBN 0-931838-40-1 (hardcover). ISBN 0-931838-41-X (softcover). Page 454. This page was last edited on 7 September 2016, at 05:30.